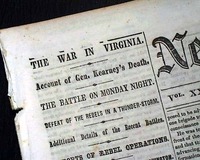 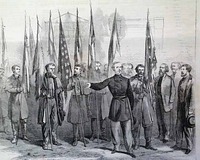 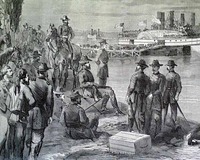 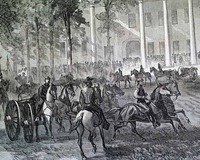 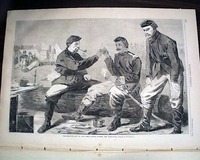 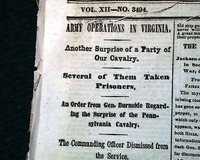 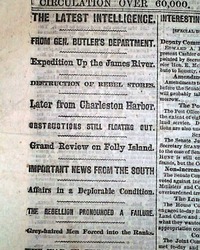 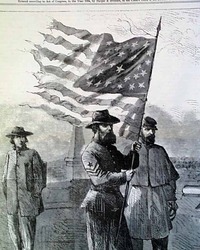 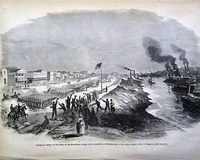 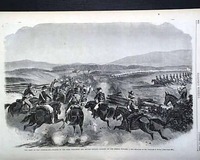 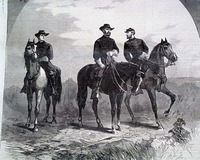 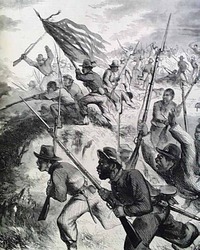 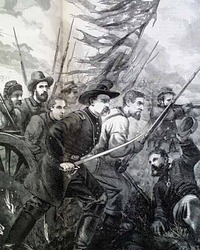 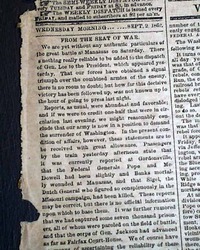 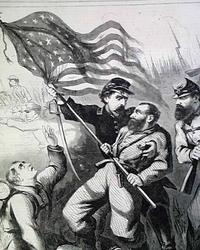 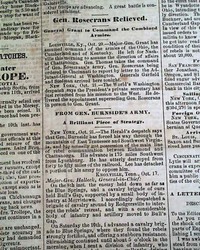 Page 2 has: "General Banks at New Orleans" "The Army of the Potomac". 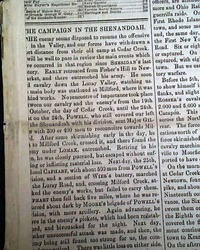 A quite uncommon title from this town with a current population of 2300. 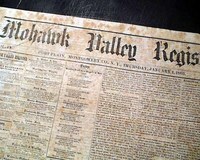 Four pages, foxing, good condition. 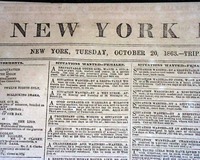 THE NEW YORK HERALD, October 20, 1863. 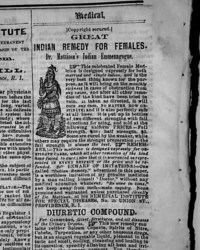 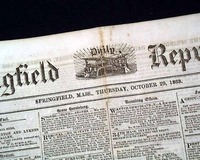 SPRINGFIELD DAILY REPUBLICAN from Massachusetts and dated September October 29, 1863. 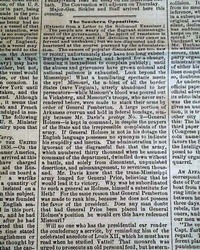 PHILADELPHIA INQUIRER, Jan. 27, 1864 Among the front page first column heads on the Civil War are: "From Gen. Butler's Dept." 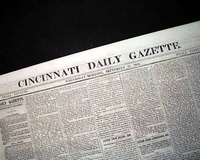 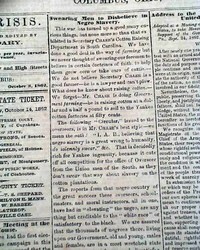 "Important News From the South" "The Rebellion Pronounced a Failure" "The War in the Southwest" "Difficulties with the Sioux Indians" & more. 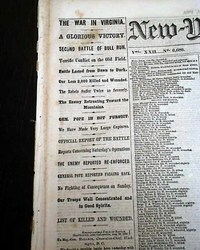 Eight pages, never bound nor trimmed, good condition. 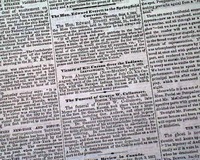 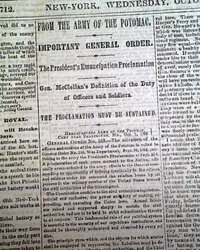 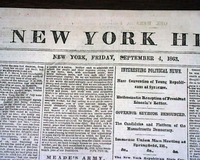 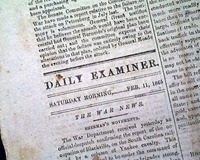 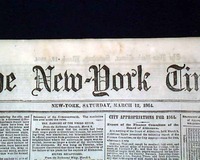 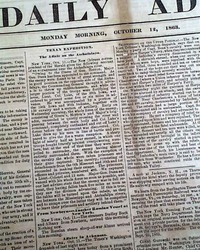 THE NEW YORK TIMES from New York, NY and dated March 12, 1864. 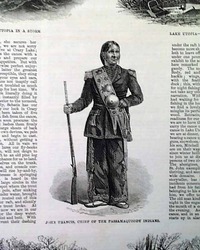 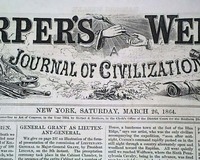 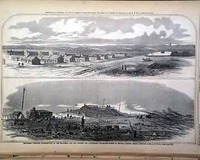 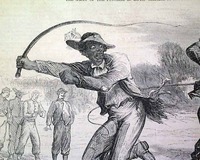 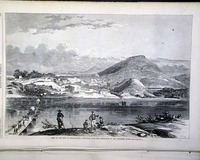 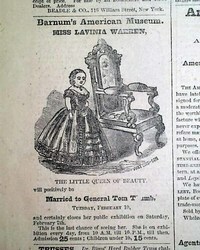 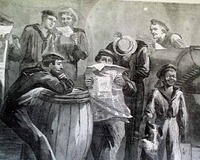 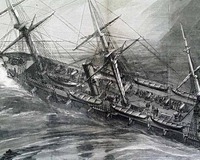 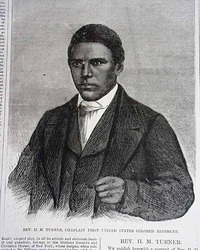 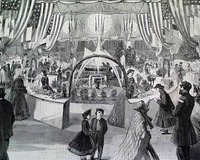 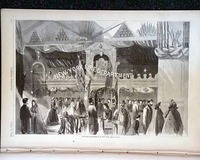 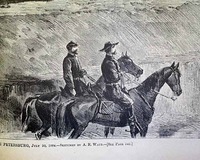 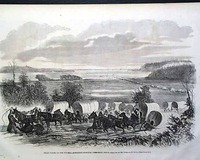 HARPER'S WEEKLY, New York, July 9, 1864 The front page has prints of: "Capt. 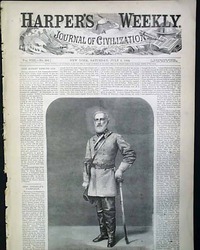 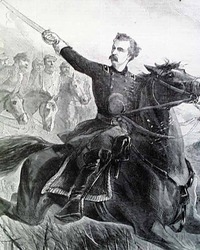 J. Henry Sleeper, Commanding the 10th Massachusetts Battery" and "Sleeper's Battery" with a related article. 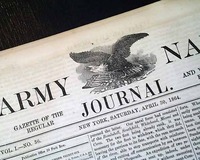 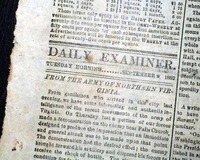 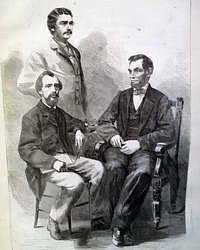 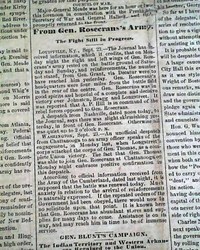 Pages 2 & 3 have reports on the Civil War and includes a letter signed in type: Abraham Lincoln.